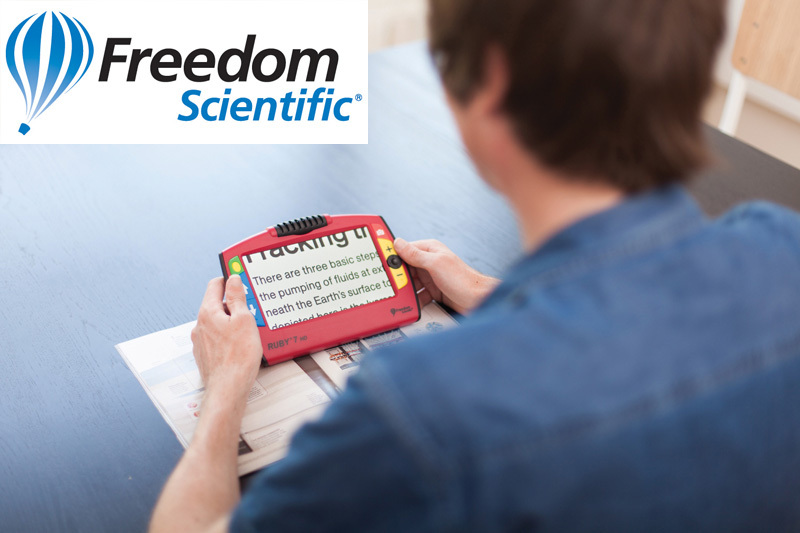 Freedom Scientific is a leading brand of assistive technology products for the visually impaired. Being on the market for more than 15 years, Freedom Scientific products help people who are blind or have low vision to access information, just like their sighted peers. In our webshop, you will find three different product groups from the brand Freedom Scientific. Via our webshop, you can purchase Freedom Scientific's software packages: JAWS and MAGic. MAGic is a screen magnification and screen reading solution software for low vision computer users. Whether you are surfing the web, creating a document, emailing, or engaging in social networking, MAGic provides you the tools you need to work more efficiently. MAGic is designed to work well on computers where JAWS is installed. 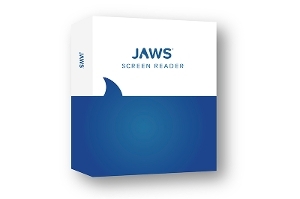 JAWS is the world's most popular screen reading software. JAWS enables people with vision loss to independently use a computer with a keyboard, speech, or Braille display. With JAWS, you can navigate the Internet, write a document, create spreadsheets and presentations, email correspondence, and much more from your office, remote desktop, terminal servers, and home. For people who have difficulty reading text and seeing details, the RUBY family of handheld video magnifiers can help. 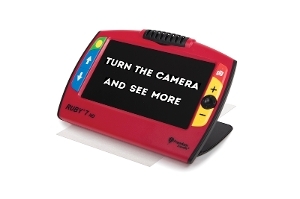 The RUBY video magnifiers slip comfortably into a pocket or purse, giving you easy access to photos, letters, menus, prescription labels, and so much more. The RUBY is the only magnifier you will need, wherever you go. 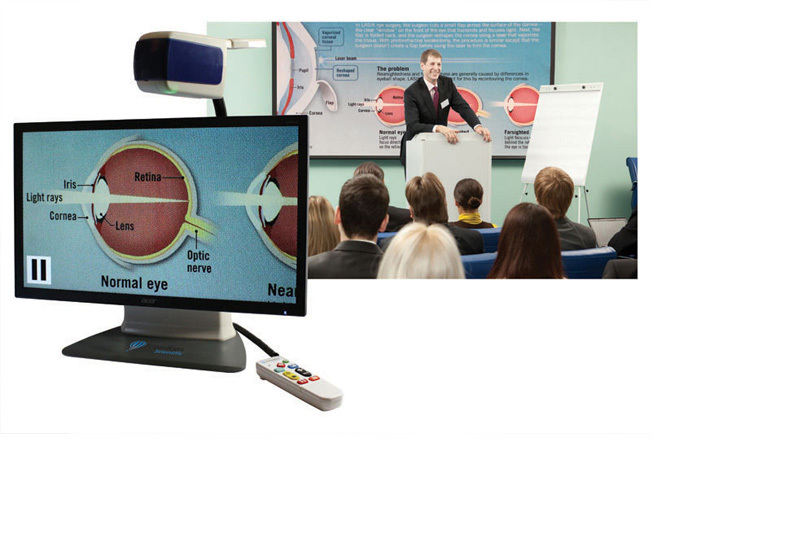 Portability and flexibility are combined in the ONYX video magnifiers. Take the ONYX with you to the classroom to see the board, read your assignments, and take notes. Use it at the office to read, write, and view business presentations, or at home to do crafts and perform daily tasks. Regain your independence with the TOPAZ desktop video magnifiers. Use TOPAZ to read magazines and letters, view family photos, write checks, or engage in your favorite hobby, all in the comfort of your home or office. 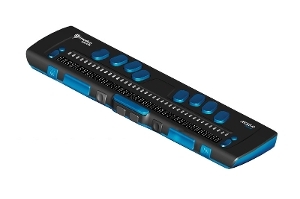 Freedom Scientific's world-class refreshable Focus Blue Braille displays provide access to information from a computer. The robust Bluetooth connectivity provides seamless use with Windows, Mac, iPhones, iPads, and Android smartphones and tablets. The Braille keyboard has an ergonomic layout for comfort and control.